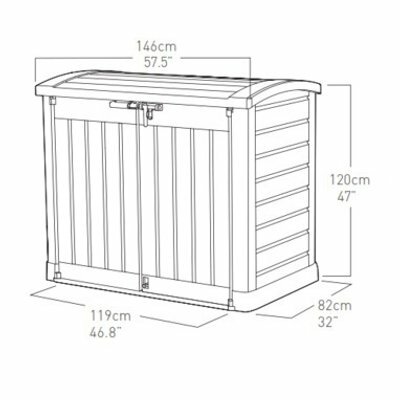 The global best-selling Store-It-Out Arc is a convenient storage unit that can be quickly assembled to provide versatile storage for up to 1200 L of contents. 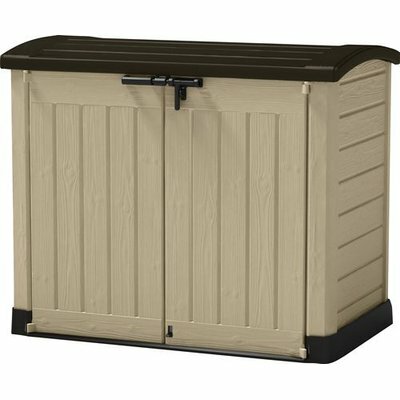 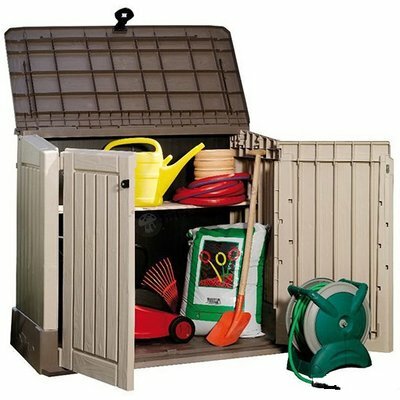 With its durable and weather-resistant build this storage unit keeps items dry and ventilated, and it can be opened from the front or the top. 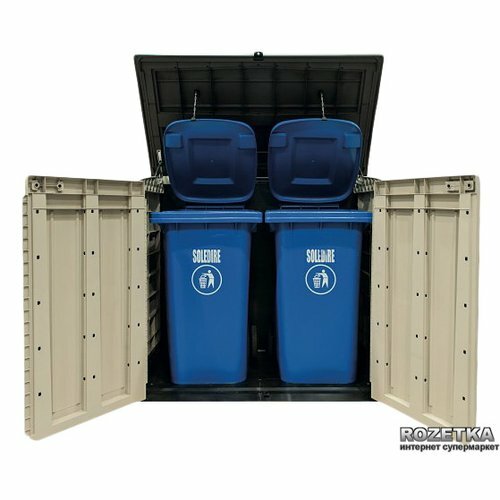 The Store-It-Out Arc has an easy opening lid and a sloped threshold that makes wheeling items in or out simple. 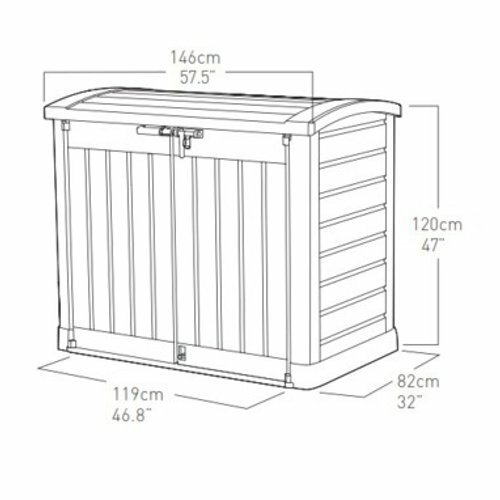 Can hold two x 240 L rubbish bins.